Chocolate ice cream with gummy bears on top. Really, I shouldn't need to say anything else. And I ate it twice in two days. 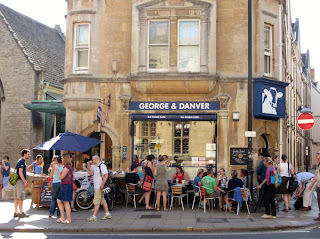 The George and Danver ice cream cafe is just opposite Christ Church college, in Oxford. It calls to you whenever you pass its doors. And I took that call. Oh yes I did. I wish I was more exciting and could tell you about the different flavours, but once I found my goodie I stuck to it. A beautiful Belgian chocolate, with cold little gummy bears on the side. 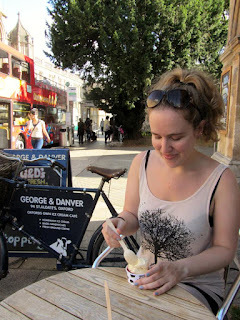 My friend Naomi had the green tea ice cream, which was lovely. But it didn't have gummy bears on. And it wasn't chocolate. The following day she had something to do with blueberries, I think? But I wasn't really paying attention. See above. 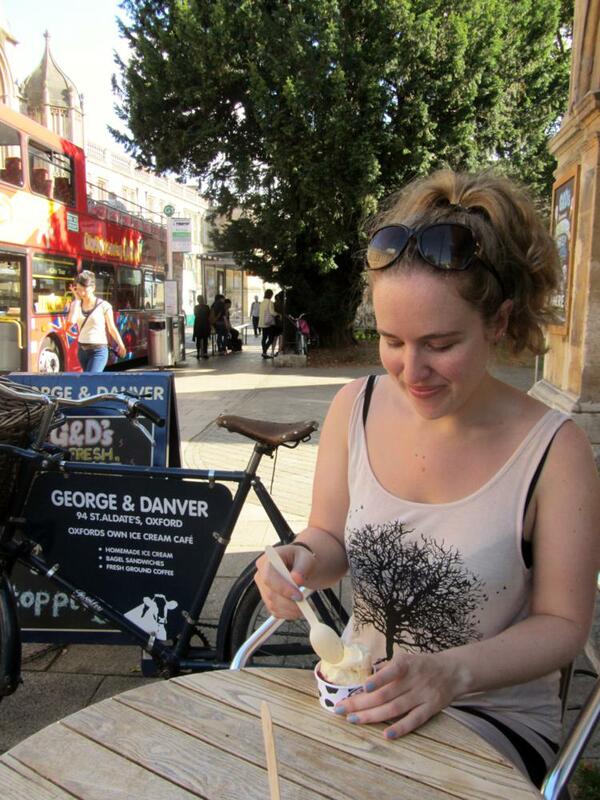 The cafe is open til midnight every night, and all the ice cream is made in Oxford, in one of their other shops (they have three locations around the city). It would be a fantastic place to stop into after dinner, to get a cone to stroll around town with. That strikes me as a very New York after-dinner activity. I'd be all over it. Honestly, I'd rather go there than Christ Church. Admission there is £8.50, which would get you 4 ice creams. 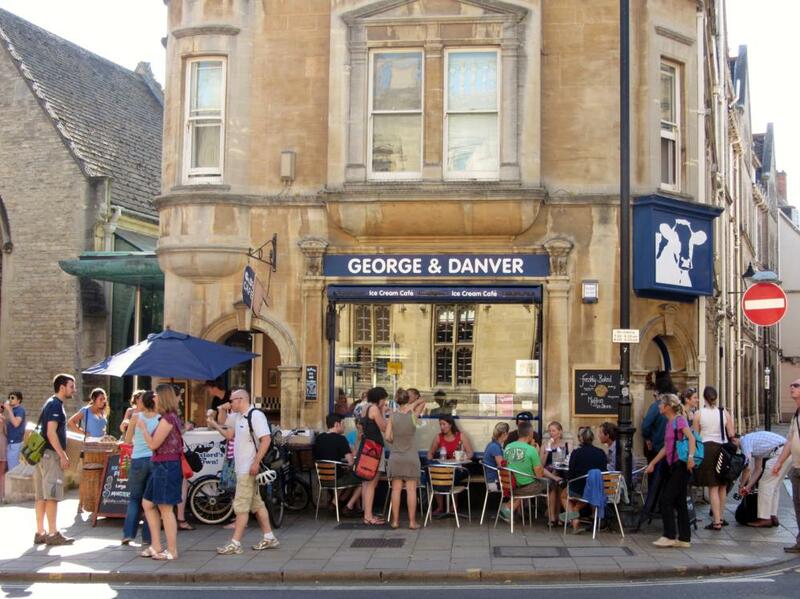 I mean, Harry Potter wasn't filmed in the George and Danver, but with ice cream that good, I bet Alan Rickman was in there like a shot. Now I want ice cream. That first picture, omgaaaaaaaaah. Tell me about it! It was so good. You have to try the gummi bears, too.